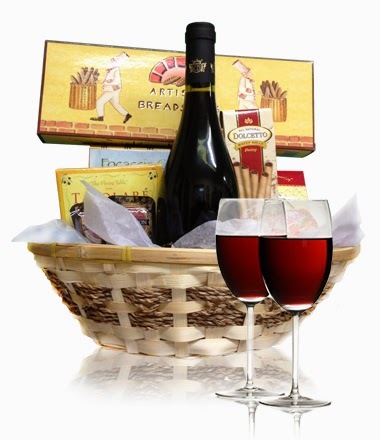 Our featured product this week is our Wine & Cheese Gift Basket. This arrangement makes for an easy, hassle-free way to say congratulations or thanks to a friend, loved one or colleague. The basket includes a 750 ml bottle of red wine, paired with an assortment of cheese snacks and delicious, savory bites. Please note the following: Purchaser must be 25 year old or over to purchase this product. Wine is purchased on behalf of our customers and no profit is made off of the price of the wine. The recipient, by law, must be at least 25 years of age, with proof of age. Express your gratitude with this fantastic assortment of items from Bloomex!